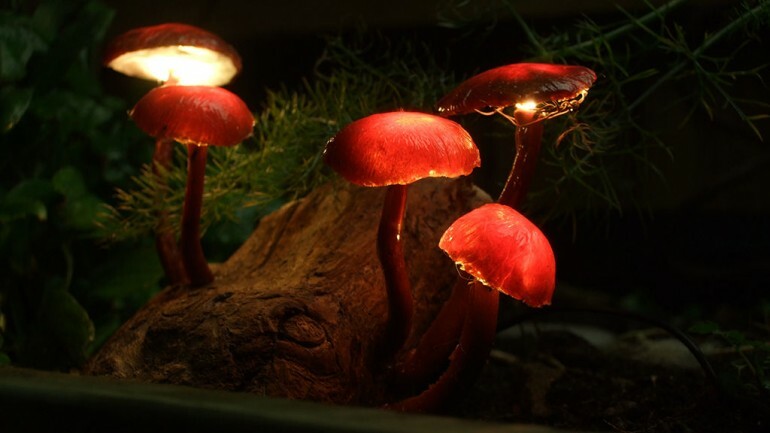 The Japanese artist Yukio Takano is obsessive about the mushroom lights. 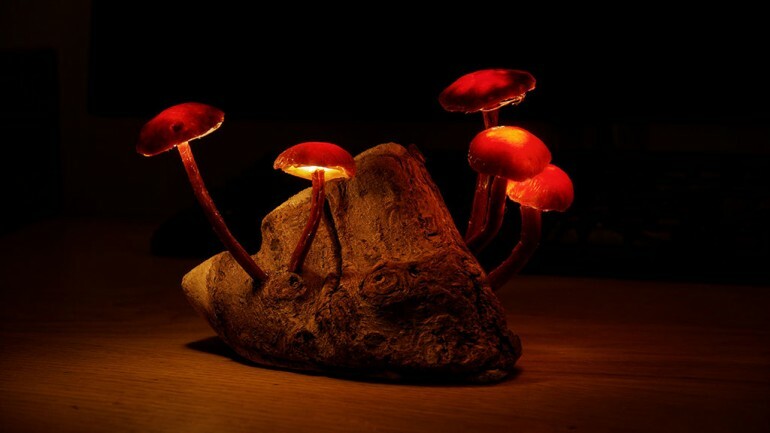 Member of the group The Great Mushrooming, who worships anything that looks in any way by a fungus, he imagined lamps inspired aesthetics of mushrooms and other Fungus. 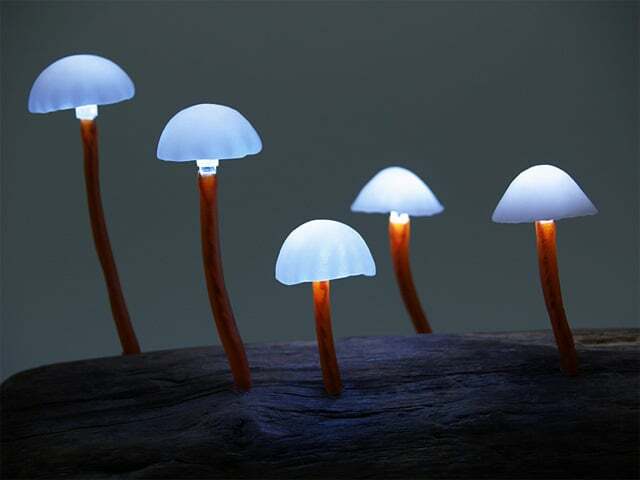 Delivered directly with its small trunk wood, the Mushroom LED Light is available in all colors, shapes and all species. 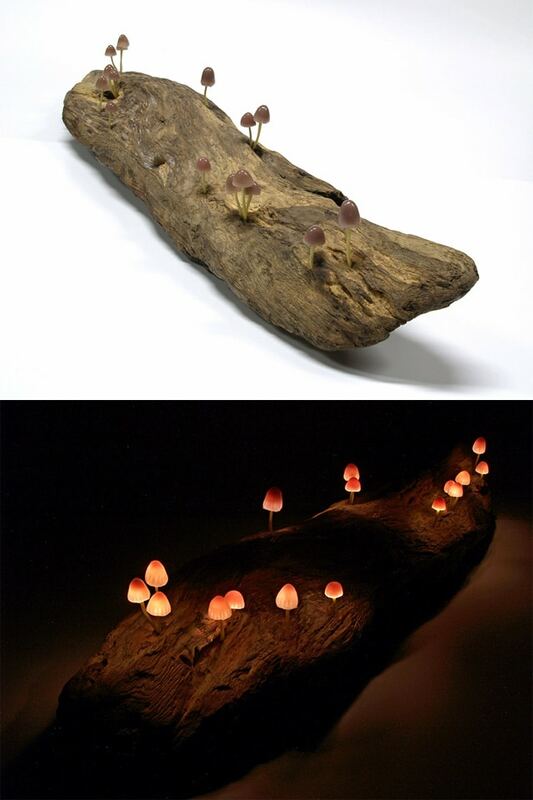 Each wooden + mushroom composition is unique, just as in nature. 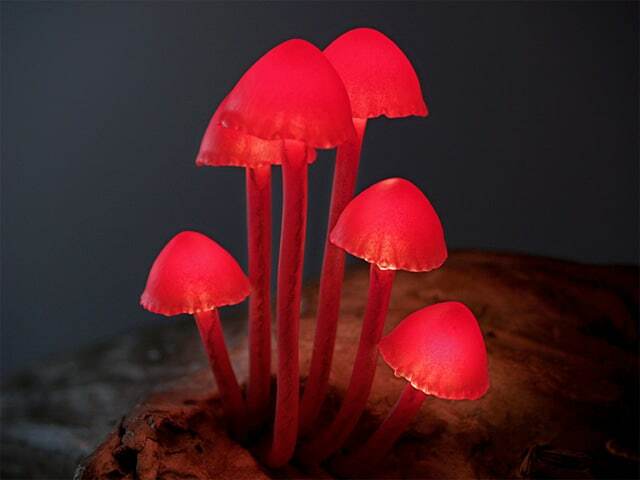 Turn it on and your home takes an atmosphere of undergrowth at nightfall. Ready to build one? 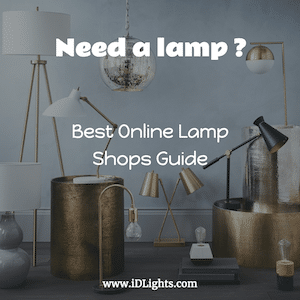 Find a really nice tutorial here or others DIY wood lamps ideas. 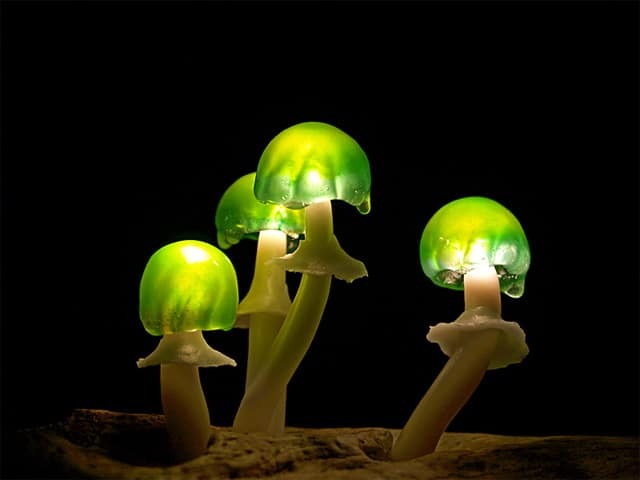 How do I buy a certain mushroom light I seen in u’r photos ? Unfortunately the artist does not ship overseas. 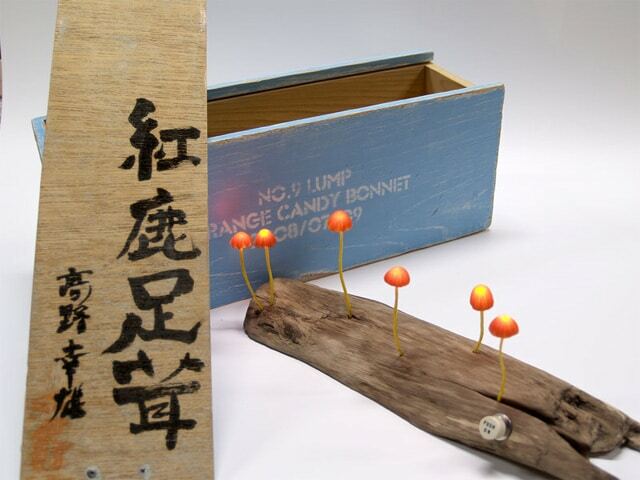 He does sell them at certain art fairs and from his studio, both of which are in Japan.